Montague’s Mount received a lot of attention during the Eurogamer Expo. At least some of this could probably be attributed to the Oculus Rift demonstrating the game – but hopefully people who came to test the hardware also spent the time appreciating the game itself. Of course, it must have been a blessing for one-man development team PolyPusher Studios – in the form of Matthew Clifton – with the sheer volume of people who came and queued for a quick wander around the taster area being shown (and it had to be quick, with the queues leading to a time limit of five minutes or so hands-on). The setting, a first person exploration and puzzle game set on an abandoned Irish coast, is a metaphorical reflection of Clifton’s own experience, having moved from Norwich to Co. Donegal several years ago. However, it can only be hoped his experience wasn’t literally as bleak as that of the game’s protagonist, who awakens on the beach and wanders through the dark and rain into abandoned houses littered with the remains of strangers’ lives. It is a grim, atmospheric environment, enhanced by having low, ominous sounds playing rather than any musical soundtrack. 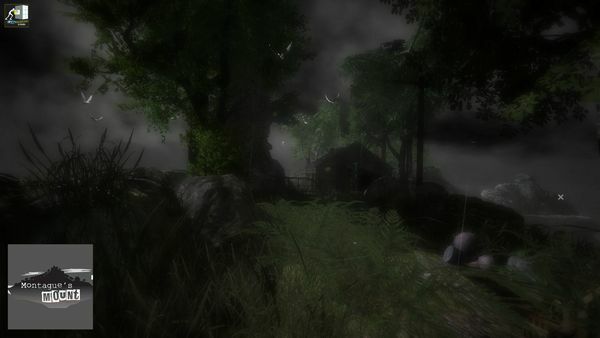 Clifton described the environment itself as as character in the game, something that allows people to get totally immersed in the bleakness, and there are many details that emphasise this. The sound of a warning bell ringing from a buoy at sea takes on a very sombre tone when it seems there is nobody left to hear it – except you. The game’s goal is simple – to solve the mystery of where the people have gone and perhaps to escape the island, done by puzzle solving and exploring the many beaches, caves and buildings around. 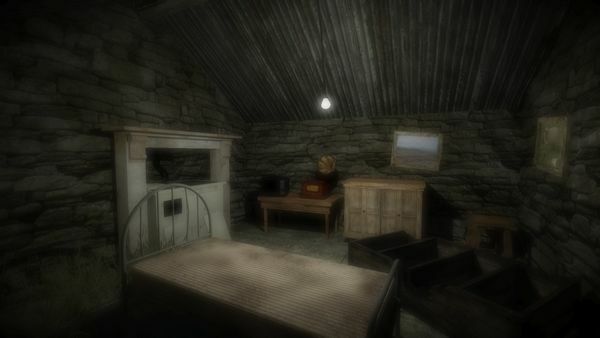 It is perhaps telling of the game’s atmosphere that when we discuss his inspirations for the title, it is psychological thriller movies that come up first – The Shining and Shutter Island being quick to name – before any other games are mentioned, most significantly the classic exploration/puzzle game Myst. Exploration was fairly intuitive – opening a gate involved actually lifting the latch, turning a handle started a gramophone, and pulling a switch turned on the electric lights… and believe me, after wandering in the dark, light was a welcome companion. It should be mentioned that playing on the Oculus Rift does add a definite element to the game. While movement was handled with a controller – in classic FPS style using the left stick to move and the right to turn – there is the extra element of being able to freely examine an area simply by turning your head as well. However, development began before the Oculus Rift support was added, which meant the slightly neglected demo running on a regular PC was not a cut down version in any way (and according to attendees, was also an atmospheric experience). Looking at objects in the game gives you a text description of what they are – and it’s worth mentioning that these are in Gaeilge (Irish), with English translations underneath. The game carries the claim of being the first mainstream game to be primarily in the Irish language, and as a player with no knowledge of the language seeing the English translation underneath in smaller letters does add to that feeling of being away from home. So what is the relevance of Montague’s Mount itself? Well… the demo wasn’t letting that one up. But explorers willing to brave the loneliness and darkness of the island will not have to wait long due to the game’s imminent release. Montague’s Mount is available on the 9th October for PC, Mac and Linux via GoG, Get Games and Gamer’s Gate; a Steam Greenlight campaign is also in progress.